I actually believed these poems, and felt convinced that if I faithfully followed each poet's instructions that I really could catch an octopus, or craft myself into a cello, or (even harder!) make an American apple pie. And the poems felt useful. I want to give them to people, stick them on the walls, shout them out in the street. Personally, I like poems to get up off the page and speak to the world, and none of my shortlist of poems was apathetic. from Guardian: Are your poems brave enough? [Lt. Col. Michael] Strobl went on to describe, step-by-step, the somber journey from the military mortuary at Dover Air Force Base in Delaware to the 19-year-old Marine's [Chance Phelps's] hometown of Dubois, Wyo., and his own thoughts as he traveled. "Now, as I watched them carry him the final 15 yards, I was choking up. I felt that, as long as he was still moving, he was somehow still alive," he wrote. The words "hail to the chief" first referred not to a president but to a Scottish chieftain. They come from a romantic poem by Sir Walter Scott called "The Lady of the Lake," first published in 1810.
from Slate: Why "Hail to the Chief"? Perhaps [Victor] Hugo's greatest achievement was to abolish the notion of "poetic subjects"; everything was fit for poetry, nothing was too high or too low. This is always to run against the tide in France, where the notion of a special language for poetry is still alive, somewhere, in its latest embodiment. "I don’t mind being accused of being clear," he [Billy Collins] says. "I think it’s very dangerous to be clear. I don’t think it’s at all risky to be unintelligible. Sometimes extremely difficult poetry is just a hiding place for poets who don’t have anything to say. It’s hard to detach envy from honest criticism. . . . I think so-called difficult poetry is often very rude. It ignores the presence of the reader. It wants to be an act of writing taking place in front of you, but it doesn’t want to address you." A man was walking the shoulder on the side of the road, and no one stopped, including me. That night, I opened the book to continue rereading it some 20 years later. I opened it to the page I had dog-eared the day before. On that page was the very paragraph that had been revealed to me in the museum. "We ate grapes, and in the evening Ricky showed up with a loaf of bread and a pound of hamburg , and we had a picnic . . ."
Once again, Kerouac was both exciting and mystical. [Chris] Semtner calls the letter the museum's "most important purchase in the past decade." The year Poe penned the brief note was a tumultuous one for the famed author. His wife of 10 years, Virginia, was dying of tuberculosis, and he was working hard to earn enough money for the family, Semtner said. Virginia's mother, Maria Clemm, was trying to sell Poe's work as he created it. "He put the roses and cognac at the base of Poe's grave and put his hand on top of the (tomb) stone. He paused and put his head down," the museum curator [Jeff Jerome] said. About four or five minutes passed between the time the visitor arrived and the time he left. "He was waiting for an opportunity to leave without being spotted," Jerome said, who waited for hours to see the visitor despite suffering from an upset stomach. [Edgar Allan Poe] contended the universe filled with matter after a single, high-energy particle exploded. Current "big bang" theory says the entire universe formed during a similar process, not just the matter inside it. Poe theorized the universe must be expanding, since the energy of the explosion is pushing matter outward. Scientists wouldn't adopt this theory en masse until the early 20th century. from British National Party: A tribute to Scotland's "Ploughman poet"
[Liz] Lochhead says Burns poetry was "very very special to anyone who grew up in a former mining community". Youngsters would learn his works in school and then recite or sing them at the miners' welfare in the evening. She recalls endless renderings of To a Mouse and Holy Willie's Prayer with its satirical strength. The next day, the wife of a local farmer was found in bed with some horsehair in her hand. Her involvement being discovered, she was then burnt as a witch at the Solway Firth. The problem with this story is that it is conservative and one-dimensional, with the message: "Be scared of women. They are deceitful." Burns’ Tam o’ Shanter, though, is actually a poem that points out the failure of the male psyche, rather than sounding the alarm about women. The only complete manuscript of one of Robert Burns' bawdy songs has been discovered in Sir Walter Scott's Abbotsford library in the Borders. "O saw ye my Maggie" is bound in a copy of The Fornicators' Court, a risqué work of which only 10 copies were made. from BBC News: Rabbie wis the man for a' that! This weekend, across the world, many celebrated the January 25 birthday of Scotland's national bard at countless Burns suppers. But his birthplace at Alloway in Ayrshire and the adjoining museum that houses many of his works are in crisis. [George] Szirtes's latest book, Reel, earned praise from the TS Eliot prize judges as a "a brilliantly virtuosic collection of deeply felt poems concerned with the personal impact of the dislocations and betrayals of history". The judges' declaration, before the prize was presented by Valerie Eliot, TS Eliot's widow, at a London ceremony last night, added that they were "impressed by the unusual degree of formal pressure exerted by Szirtes on his themes of memory and the impossibility of forgetting". [C. K. Williams] is ruthless in exposing his own sins, and helps us uncover our own. It was the war in Iraq, however, that led him to circle back to where he had started. "The unreasonableness of war, the killing of children, drives me to distraction," he says. "My moral system grows out of this. There has never been a moment in my life when I felt we were in so much danger. I am a father and a grandfather. I have three grandsons. I am afraid for them." "Why do you want to kill me? I came to help you. I ask you to stand up and fight but I only see a few. So I ask why are you trying to kill me? I came to set you free." The poem was the closest the soldiers came to the horrified disgust with killing that characterised the First World War poets, but this is a very different war. It has few set-piece battles, only the steady attrition of the roadside bombs. Helping hands and resources are needed to rebuild what has been destroyed. We will be part of this. But those who have lost their loved ones are now left alone with their naked grief. At the loss of a mother, a father, a child, a beloved partner, a friend. They are gone. Jan Magnus Bruheim captures this pain in the poem "A sudden farewell". He could have been writing about the tsunami. "I told him not to jump," [Cyndy] Grimmett said with tears in her eyes. "He jumped and went under the water and I never saw him again." The stream, which [Sgt. Brent] Nelson said normally is only a trickle, feeds into the Quail Creek Reservoir. [Gerald] Grimmett wrote three collections of poetry and a novel, "The Fairy Woman." Even as cancer saps his strength, [Tom] Nattell is not wasting a moment. He is writing poetry, keeping a daily journal, practicing yoga, e-mailing friends, railing against President Bush, completing estate planning and discussing details of a memorial service with his son. He continues to write "The Simple Life," a column for Metroland, the alternative weekly, that has run since 1997. Even in illness, every bit of waste he produces, from food scraps to old newspapers, is painstakingly composted or recycled in a boxy recycling center he built in his kitchen many years ago. Mercury was commonly used in Elizabethan England to treat the sexually transmitted infection syphilis, which Shakespeare often referred to in his plays and sonnets as the pox, the malady of France, the infinite malady, the incurable bone-ache and the hoar leprosy. "Shakespeare's obsessive interest in syphilis, his clinically exact knowledge of its manifestations, the final poems of the sonnets, and contemporary gossip all suggest that he was infected with 'the infinite malady'," [Dr John] Ross writes. dal piu dolce parlare et dolce riso . . .
Or if it were it bore not beauty's name . . .
trailing labiles, placentas, uncomely swags. My own lines double as her lianas." This is brilliant writing because it is so un-easy, and because of the way it uses its un-easiness almost to trap its readers with a lure of sense. "I fancy her" is given a line to itself so it can for a moment riot in the vulgar sense "I find her attractive". Look at the pacing of those full stops and the deft enjambment (after "Precious") that captures the sudden shift in register. The Addison Street Anthology, published by Berkeley-based Heyday Press, enriches that process of discovery. 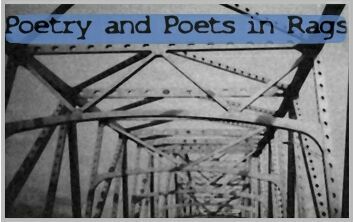 In its pages, [Robert] Hass (a former U.S. poet laureate) and poet/faculty member Jessica Fisher complement each poem, translation, or song lyric included on the walk with notes that provide its biographical, literary, and historical background. "I'm interested in matchmaking," [Christine] Deavel told NPR. "I don't want everyone to read what I'm reading necessarily. I want to find out what somebody else cares about, and I bet I've got something that they would be interested in." A quote from poet Anna Akhmatova -- "For me, everything in poetry should be out of place" ---- is among [John] Marshall and Deavel's favorite quotes from poets. Lines from the owners' favorite poems are written on the walls of Open Books. Looking back on 25 years, [Wendy] Lesser says there are "two kinds of great moments" that give her a thrill: "the kind when you open up an envelope, you've never heard the person's name. And it's gold." She mentions Dutch writer Bert Keizer, diarist Lars Eighner and Alaska writer Natalie Kusz as examples. "The other kind is where you write to somebody because you admire them so much and they write back with a piece of writing that you can publish." Guy Davenport, 77, an erudite author, poet and critic whose subtle and demanding works won him a loyal literary following, died Jan. 4 of lung cancer at a hospital in Lexington, Ky., where he lived. The Cilappatikaram and the Manimekalai, the two earliest epics/narrative poems in Tamil, both refer to a vast landmass that was swallowed by a "cataclysmic landslip" or "on-rush of the sea." These landslips have submerged vast territory that was called Kumai Nadu or Kumari Kandam, known also as Lemuria to western scholars. from TamilNet: Catastrophes of the past: poetic exaggeration or scientific facts? It was Elias Lonnrot (1802-84), a country doctor and folklore scholar who, by sheer force of will, created the "Kalevala." Beginning in 1828, he made 11 expeditions, ranging as far south as Estonia, as far north as Finnish Lapland, as far west as the Tampere area (100 miles northwest of Helsinki) and as far east as Russian Karelia, in search of the ancient sung poetry, or "runo," tradition then alive in the Eastern Orthodox regions of Finland, though long banned in the Lutheran areas. As Mr. [Peter] Ackroyd observes of "Troilus and Criseyde": "It is a love story and a farce, a lament and a philosophical enquiry, a social comedy and a threnody upon destiny; it is a novel of manners and a poem of high deeds. It is a commodious and accommodating epic poem, and such a new thing in English that it can really be given no fixed or definite name. It can only be said, perhaps, that it is the first modern work of literature in English." If you think Virgil and Homer matter, you should feel duty-bound to read the Epic of Gilgamesh too; and to fulfil that duty, you will need a reliable English translation. Stephen Mitchell's new version has been praised by at least one eminent critic: Harold Bloom has called it "eloquent", "nuanced" and "wonderful". I can only wonder whether he has read the same translation that I have been studying, for which my epithets would be "dull", "wrong-headed" and "irritating". "The drink is from a fruit but non-alcoholic, to bring one closer to God--to the next level. That is what we are taught. I don't think it is wine," he said. Asked about the use of the words "intoxicated" and "tavern" in the same verse as a reference to wine in one of Hafez's poems, [Ali Reza] Zakaje claimed, "Intoxicated? Yes, with God and his spirit. By tavern he means a house of God or a religious school." under the roof of baked tiles . . . Frequently, though, he doesn't go far enough: in "The Hag's Cove", three stone towers are described as "a sanctuary for wild animals,/for nestling birds". More than half of the poems in [Anthony] Lawrence's anthology [The Best Australian Poetry 2004] come from four journals (Meanjin, Salt-lick New Poetry, Blue Dog, and Heat). [Les] Murray's The Best Australian Poems 2004 has a less rigid editorial practice, accepting poems from authors' individual collections, from other anthologies, from journals and newspapers, and unpublished work. Three-quarters of Murray's collection are from authors' collections, are previously unpublished, or appeared in Quadrant (of which Murray is poetry editor). It's annoying, having to go back and puzzle out the meaning of ''husband to find'' and the identity of Sarah. But even those momentary syntactic ambiguities don't blunt the force of that final proposition: that our ancestors leave us their hands so that they can touch the grandchildren they never knew. The genre is called "Siste, viator" ("Stop, passerby") and many verses have been composed in that vein, some of them pretty funny, as if to ridicule death and thus conquer the human fear of it. So I stood for a moment, and read [Wislawa] Szymborska's own epitaph, and my reading stumbled on the PC, which somehow seemed to be out of place, in the poem and on a tombstone. I racked my brains and tried to figure it out, then checked the Polish version. Often we write too literally, too logically or self-consciously, when it is the imaginative connections--the leaps of faith, the connections between images and words--that are interesting to the writer and the reader. Poetry is an odd combination of creative energy and technical ability. In this exercise we are trying to let ourselves free fall, then working on the poem to give it shape. Peter Davison, a poetry editor for The Atlantic Monthly magazine and two publishing houses who became a poet himself, has died. He was 76. "Elisheva wrote poetry in her own image: daring and sensuous, frank and free of defenses, exposed to the world despite its dangers and its ingratitude, unique and original but friendly and clear and, above all, rich and generous." This quote from a eulogy are the words of poet and translator Tal Nitzan Keren who spoke of Elisheva Greenbaum, who died last Thursday in her Tel Aviv home after a short and brutal illness. [Belinda] Subraman is a poet, writer, artist and hospice nurse. Her writing can be found in over 400 journals, reviews, anthologies, books and chapbooks. Jim Powell is the author of It Was Fever That Made The World, A Victorian Connoisseur of Sunsets, and California Blue Indian Ghost Dance, and the translator of Sappho: A Garland and Catullan Revenants. At the core of [Adrienne] Rich's writing is the cause of human dignity. "Art," she once wrote, "is our human birthright, our most powerful means of access to our own and another's experience and imaginative life." A poem such as "Memorize This" probes and enraptures the "delicate" experience of enduring love. Behind it is the authority of a poet who also knows that one role of the poet is to be amazed at the fact of our just being alive. I've been having a difficult time finding inspiration for the New Year, so I looked back at my 2002 message which still applies. Two poems give it heart. What can we each do in our daily lives to support real peace and safety in the world? We can pull back in fear and isolate ourselves from the many problems around us, focusing on doing OK individually. This poem just says it for me. While this year seems to refuse to go quietly into the night, I know that each one of us can put an end to some suffering. I am learning to stop cursing the darkness and fight the cynicism of helplessness and victimhood and realizing that there is something I can do. [Sadhan] Neogi said that the friends he lost were, almost, the only friends he ever had. "I grew up with them, went to school together, played together, ate together. "They were like brothers to me." One of them even got him interested in poetry. [Maxine] Kumin's subjects range from nature to history to the human condition. This edited transcript of our interview begins with a discussion of a poem called "The Agony," in which Kumin writes about the 2003 case in which a Concord man killed his two children. When did it occur to you to make a poem from the horrific Manuel Gehring case? I just had an overwhelming sympathy for him in his madness that he was so driven that he would do this. And then there was something so tender about putting this duct-tape cross on the bodies. The food, deliberately rotten and containing little nourishment, is also designed to break down a prisoner physically and psychologically. Manuel Vazquez Portal, 53, a poet and writer for the government-run cultural press for a decade, during which he won three official prizes before being purged, is described by the Le Monde journalist who talked to him as having the face of a man who has "passed through hell." Metaphors vivify, too--the reason why they are so important in literature. Take a simple example, which also illustrates the demotic nature of metaphor: Mrs Gamp in Martin Chuzzlewit. She communicates chiefly in metaphors, just as Ronald Reagan governed America, very well, chiefly by metaphorical one-liners (an example being 'I'm not worried about the Deficit: it’s big enough to take care of itself').